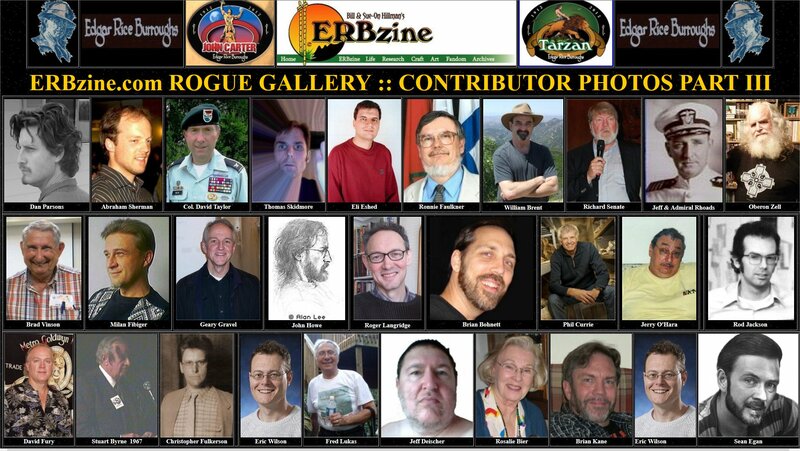 Our ERBzine and ERB C.H.A.S.E.R. and as an aid for readers/researchers who ask, "Who wrote what... and where's it hidin?'" The list of contributors is alphabetized and includes links and brief descriptions of their projects. A gateway site leading to 50 of David's ERBzine articles, including the Nkima Chats series. 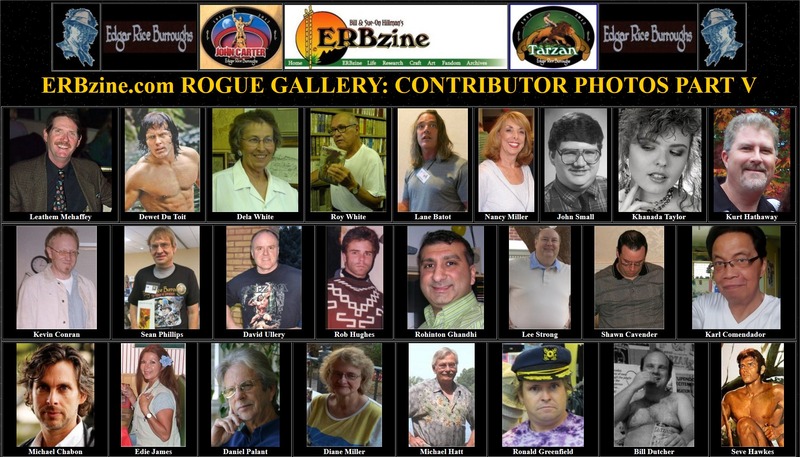 ERBzine 1566 Dell Tarzan Annuals 1-3. John Barnes "Gahor of Gathol"
ERBzine 0280 JACK OF TIME - ERB Novel Intro & Ch. 1 - "After the Fire..."
ERBzine 0278 Studio Workshop - Toys On Mars! 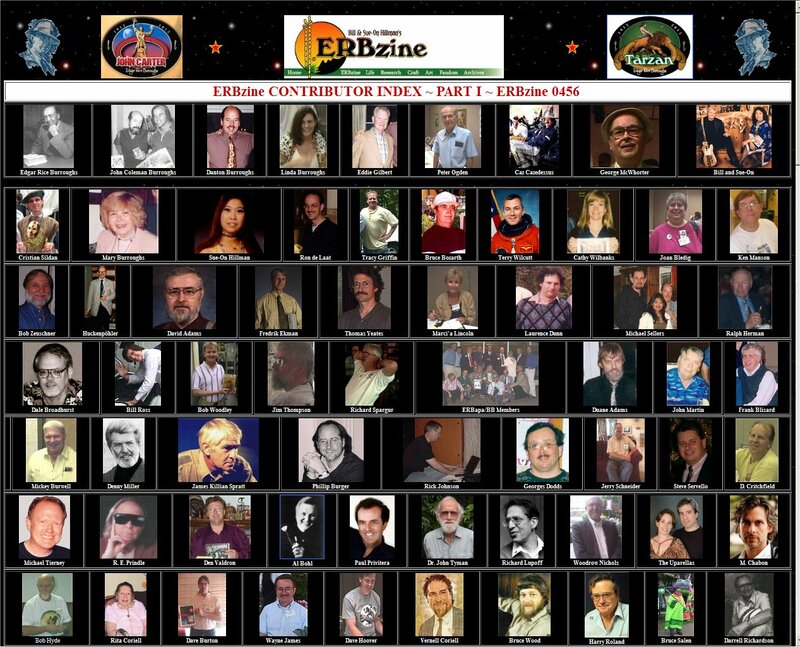 ERBzine 0389 ECOF 2000: Elvis, Tarzan, Superman...! 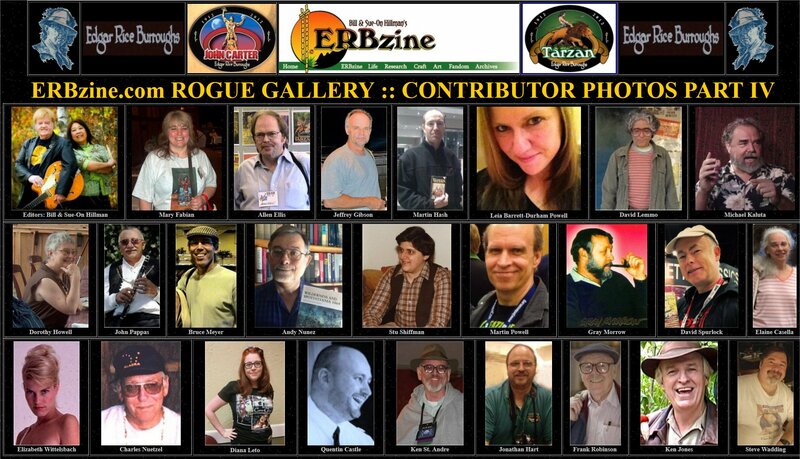 ERBzine 3925: My experience with the Worlds of Burroughs! Scott Tracy Griffin ~ "Lord Passmore"
ERBzine 0732: Review in C.H.A.S.E.R: Tarzan and "The Foreign Legion"
ERBzine 5128: Is the 0-220 Possible? ERBzine 5125: Phantom and Santa Fe, etc. ERBzine 3637: Did ERB Write Alternate History? Bruce Salen "Hadron: The Brooklyn Banth"
ERBzine 0060: An "abused childhood"
ERBzine0435 Brothers Dennis and Terry Wilcutt in Conversation: From Comics to Cosmic! 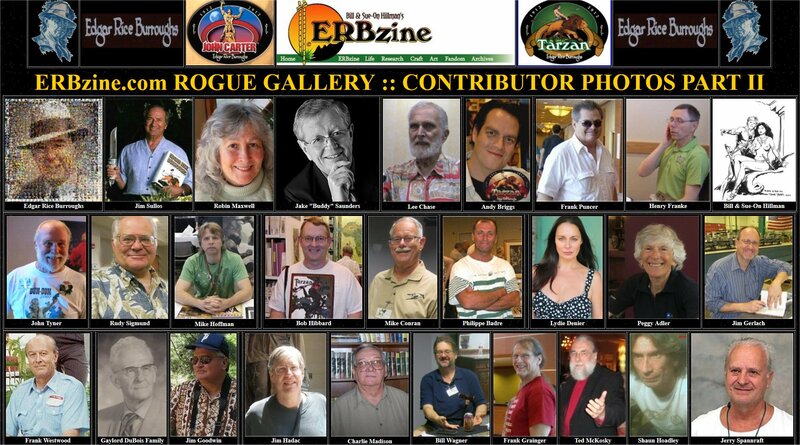 ERBzine 0435 Brothers Dennis and Terry Wilcutt in Conversation: From Comics to Cosmic! ERBzine 0709 Kipling and ERB? which must be some sort of record for the number of fan webpages devoted to one person from one source. but it is the support and feedback of fans that oils the engine and feeds the flame.